Robert Browning and My Last Duchess. Set in Renaissance Italy in early 16th century My Last Duchess is an outstanding dramatic monologue and the dogmas of a self-sacrificing man are voted for as he shows a marriage mentor and a portrait of his late wife ‘my last Duchess’. Moulded in rhyming couplets or so-called the heroic couplets, in a distinct long stanza, My Last Dutchess is one of the finest examples of Browning’s talent for developing character and this remnant as an influential part of psychological poetry. Studying famous figures of the time Browning have researched into certain aspects of Renaissance Italy to help with his poetic endeavours. This dramatic monologue, no doubt is a magnum opus of the genre. The dark, pretentious and egotistic deeds fit with the language with an enigmatic of the man who is being doubted for killing his wife for the reason that she was excessively compassionate and open-hearted. The ability to keep the reader on the tightrope of uncertainty is where the genius of Browning lies. There is no moral judgement made, throughout the vague monologue. The age, when women were grasped more as chattels in a marriage than real humans capable of love, ‘My Last Duchess’ was written in the Victorian age. Browning somewhat wrote the poem to see the sights of male and their supremacy, marriage position of women predominant in the society. The poem thus proves to be an account of the imagination of a man’s effort to elucidate a picture, which is behind the curtains. Then being able to convince himself of the truth; the truth which could also well be one protracted lie. ; a reason for the persistence of control over his first wife. That’s my last Duchess painted on the wall, / Looking as if she were alive. A poetic form attendant primarily with Browning the dramatic monologue is a poem in which the narrator is the true focus of the poem. The subjects are being talked about by the characters in the poem, and the personality and psychology of the speaker are learnt predominantly by the readers. Browning was also involved in playwriting and his writings were much more influenced by this. Venerable was the tradition of monologues in theatre and Browning intellectually this monologue form to poetry. The Ring and the Book, in this a short form of the monologue is taken he takes the short monologue form and lends it to multiple characters who collectively reveal the story of a murder. Browning uses his dramatic monologue to explore a mystery. 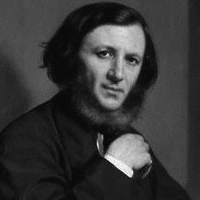 The poem “My Last Duchess” by Robert Browning revolves around the theme of wariness, recklessness and control. In the relationship, there was an overwhelmed feeling of jealousy with the poet’s late wife. The fact that other people were fascinated by his wife and the way she reacted to their fascination with smiles. And moreover because of this watchfulness, his wife is no longer alive and there is a suspicion that the wife has been ordered to be killed by him. This jealousy thus; becomes the path to madness. The poet seems to be very stable mentally. His judgment has been clouded by jealousy and as a result, he turns out to be the killer of his wife. The poet undoubtedly becomes too much possessed, that he even cannot stand seeing others who gaze at the painting of his wife. The converser is also allowed to speak, by the poet and with the portrayal of the lady, a whole monologue is being started. The same controlling boldness is seen while conversing with the dutchess. With this, we can also say that no matter how jealous the poet was, he also likes to be controlled. Egotistical, cold, mysterious is what the tone of the poem’My Last Dutchess’is. The tone is something which refers to the approach of the speaker. In the poem, the readers are told about the painting of the poet’s late wife. The poet criticises about his wife; her hospitable attitude and that she delights in her life and also her inclination to smile at others who appreciated her. The speaker also conditions coldly that whenever he ordered, his wife’s smile clogged; this also somewhere hint at that he caused her slowly to death. A tone of clandestine is also boosted with the use of different dictions. The words which were preferred by browning in the dramatic monologue forces the readers to rely on that is was getting difficult for the duke to handle such a flirty nature. “too easily impressed” with this statement the duke explains how she is was charmed easily by anyone. The duke validates his reason to be upset by saying that “She ranked my gifts…with anybody’s gift”. He also states that by marrying her he provided her with a gift of nobility; therefore she relishes such a high social rank. There is no denying that Robert browning achieved a mysterious, haunting and jealous tone throughout the poem “My Last Dutchess’. The incident the poem comes from the life of Alfonso II, an aristocrat of Spanish origin who was Duke of Ferrara in Italy during the sixteenth century. Lucrezia, the daughter of a man who later became pope, was said to be the first wife of Alfonso. The court of Ferrara was converted by Lucrezia into a gathering place for performers of Renaissance including the eminent Titian Venetian painter. 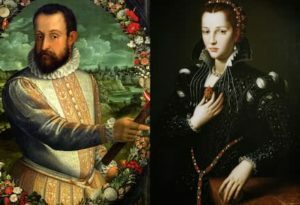 Although she died only three years into the marriage—to be replaced, as the poem suggests, by the daughter of the Count of Tyrol—As a result, Ferrara became exemplary of the aesthetic awakening that was taking place throughout Italy. The character of the Duke of Ferrara is revealed to be cruel, jealous, arrogant and proud. He is basically a persona of Alfonso IID’Este.In the poem, he is believed to have killed his wife for the reason that she was more welcoming to others and not grateful to him for marrying her. there is always seen a justifying act in the behaviour of Duke and his act of killing reveals that he truly has no feeling. The dutchess of Ferrara was such a lady who could be pleased very easily. According to the duke, she did not enjoy the presence of the duke and welcomed everyone with a smile which was not appreciated by the duke at all. The entire character of the Duchess is told entirely by the speaker. The character of the Duchess is related to Lucrezia Di Cosimo De’ Medici.she is also depicted as very cheerful and excited. A vibrant picture is conveyed in the mind of the person who reads with the use of imagery in the poem. The poem brings into being with the lines; “That’s my last Duchess painted on the wall, / Looking as if she were alive,” where the reader could vividly visualise the portrait of the duchess. The praises of the painter Fra Pandolf is also talked about by saying “Must never hope to reproduce the faint /Half-flush that dies along her throat ” causing in the growing jealousy of the duke. Allusion, that is, reference to another text or art, also played a major role in the culmination of the poem while denoting to the Roman god Neptune. The listener’s thoughtfulness is stirred to the statue of Neptune’s domestication a seahorse. This can also be seen as an individual to take control of the fewer powerful. Other figures of speech, metaphors, words and analogies are used by browning to signify the character of the speaker. The speaker plead guilty his act of killing the wife, also his careless confession lets the reader know the careless attitude of him. The duke is soon is seen readdressing the thoughtfulness towards the forthcoming marriage as the poems pull much closer. He is sure to get a lavish dowry from his wife’s father. Moreover, he says that he desires to be seen as giving more courtesy to his fiancée that the money that would come along in the marriage. and this is the time when the readers become more anxious about the welfare of the young woman. The image of the god ‘Neptune’ is used to conclude the poem. The relationship between the Duke depicted by Neptune and the last Duchess depicted by seahorse is verified with the image of god taming the seahorse. With this, the duke conditions his power of controlling his future wife. The conclusion is made by showing the dukes desire for the rare beautiful beauty and his competence to fulfil the desire. The dramatic revelation of character creates the poem unique in its own way. The poem is made much more convincing and impressive with the use of ordinary language, colloquial words, the rhythms, the very conventional situation and many such features. The poem is grim at first sight.it is trodden, and elliptical. The realism behind the story could be understood only by a critical mind. The readers see the duke pulling off his own face mask. The theme and style of the poem are always admired. The possessiveness and the distrust of the Duke as a husband is revealed when he tells the readers that the Duchess use to smile at every other person and it was not only for her husband. The values of sophistication are also revealed through the character. The poem is well defined as factually and expressively. The Duchess is a character with natural humanity. The Duke, on the other side, is given the figure of Renaissance Machiavellian. The man with his pride avidity, and absence of human values. The eventual human depravity is displayed that results from the conquest of human values in the Victorian world with the killing of the Duchess by the Duke. Hence Browning’s poem represents the entire social background of contemporary world lurks and it does not remain just a study of the Italian Renaissance.